There are some wild edible plants that everyone knows about like wild mushrooms. Almost everyone can identify a morel, for instance. 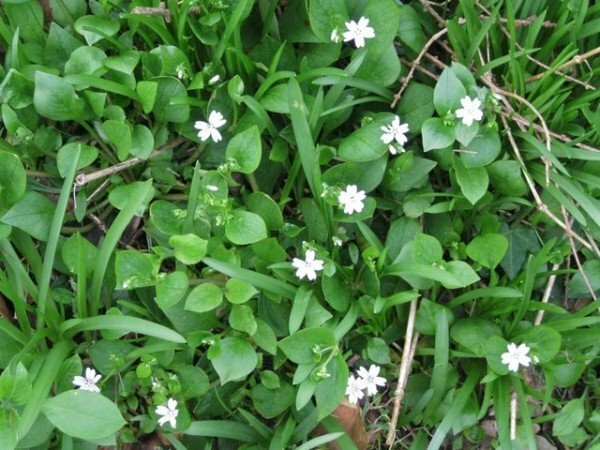 Other edible plants such as wild onion, asparagus and garlic mustard, along with many other wild edible plants, are well-known and easy to find throughout the country. Here are five wild edible plants that the novice foragers might otherwise overlook if they didn’t know what to look for. RELATED: Can You Identify These Wild Edible Spring Plants? In spring, bright green buds grow on the tips of spruce branches, and most people overlook their edible quality and health benefits. They are easy to find due to the ease of identifying a spruce tree and they can be eaten raw. They contain high amounts of Vitamin C and can be frozen and saved for winter. 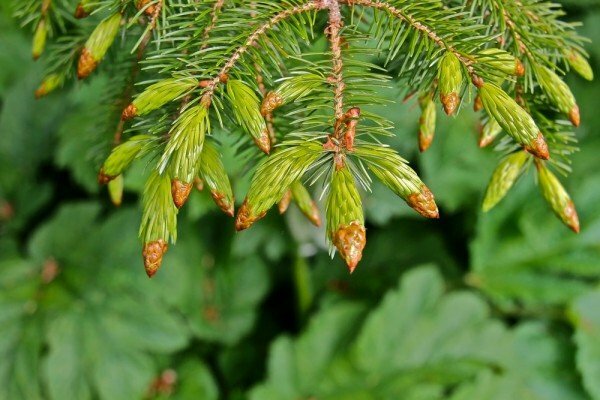 Aside from nibbling on spruce tips raw, they can be added to teas, salads and even into water bottles, where they will add a zingy flavor and absorb all the nutrients. 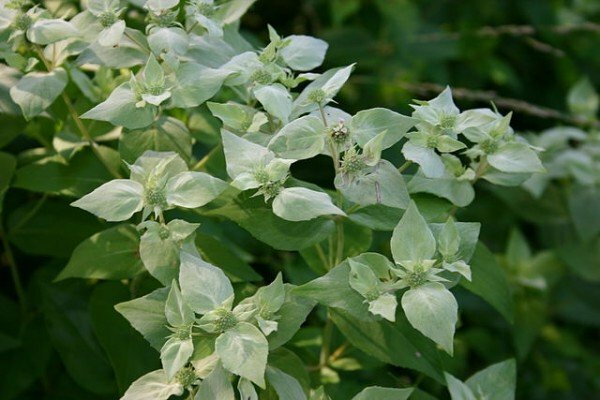 An edible and medicinal herb, the mountain mint is immediately noticeable from its minty scent when crushed between your fingertips. Its leaves and buds can be eaten cooked or raw, and they have a minty and spicy taste. 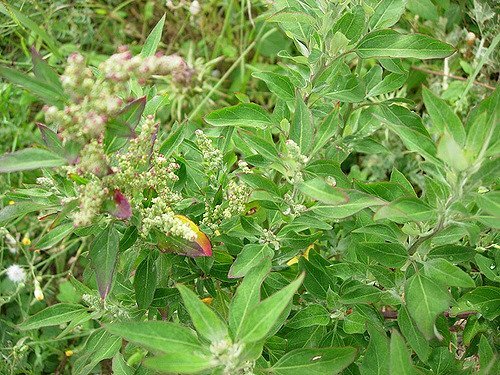 Its natural antiseptic and tonic properties make it a suitable plant to make a medicinal tea for treating colds, coughs and indigestion. It grows to about five feet tall, and its leaves are a few inches long. It is not suitable for ingestion by pregnant women. 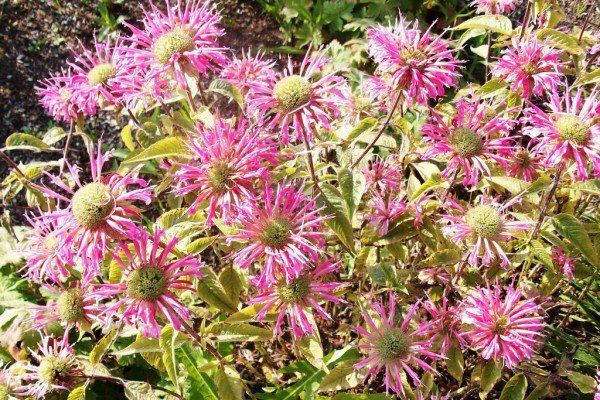 Wild bee balm is edible raw or cooked, and its leaves and flowers can be used as a flavorful garnish in salads. It is distinguished by its pinkish flowers and by bees that are attracted to it. Although it can be eaten, it is more well known to be brewed into tea. It is also known as Wild Bergamot. Lambsquarters is a wild edible that is green with a white dusty appearance. It helps to restore nutrients to soil, and because of this, large tracts of land covered with lambsquarters could be a sign of soil contamination. With a mineral rich flavor, it appeals to those who enjoy leafy greens like kale and spinach. Its average height is a few feet, and when moist, water will form beads and run off the surfaces of leaves. Purslane is a non-native plant that is considered an uninvited weed to most people due to its appearance in gardens. It can grow in almost any soil type, and it is drought-resistant. Its leaves and stem tips can be picked and eaten in place of spinach or other leafy greens, but it is important to take young specimens that are still tender. It can be used in place of lettuce on sandwiches or even cooked, but if cooked too long it may turn slimy.